Jewelry and Watch Insurance in the USA: Market Dynamics, Affinities and Partnerships is a report, based in part on a survey of 135 retailers of jewelry and watches, investigating the market for jewelry and watch insurance in the US. 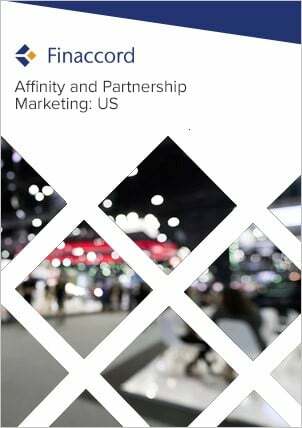 Key features include: an outline of market drivers and the value and growth of the market from 2014 to 2018; quantification and commentary concerning the segmentation of policies in force by distribution channels used to buy them in 2018; estimates for underwriter market shares in 2018; a comprehensive listing of affinity and partnership marketing relationships visible at the time of the research in 2018 for this type of contract, including ones employing 'insurtech' with the aim of disrupting incumbent competitors; and forecasts for the value of the market up to 2022. In this report, jewelry and watch insurance is defined as stand-alone cover for jewelry and watches bought by consumers either at the point of sale or retrospectively. The main risks covered by stand-alone jewelry and watch insurance policies are accidental damage, loss and / or theft. However, the report does not analyze cover for jewelry or watches acquired as part of household or renters insurance nor does it include cover bought by jewelers for their own business risks (jewelers block insurance). Moreover, extended warranty cover for jewelry and watches, including smartwatches, and protection / care plans, which cover maintenance and repairs but not loss or theft, also fall outside of the scope of this report. Also excluded are items of jewelry or watches covered by so-called ‘valuable items insurance’ because this type of cover is used habitually to cover collections of goods, with a principal focus on art and antiques, rather than specific items of jewelry or individual watches.